Shellac Stack No. 132 salutes the girls! From Glorianna to Isabelle to Evelina to Madelaine and Julia, we’ve got more than a dozen songs named after girls. 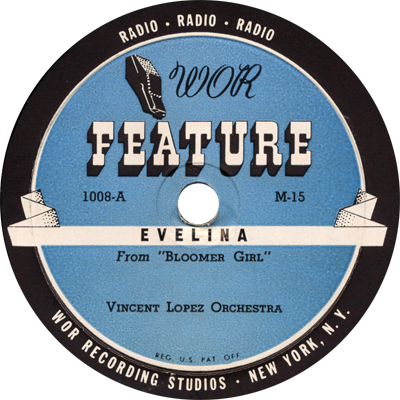 Performers this time include the Ipana Troubadours, Ted Lewis, Mildred Bailey, Teddy Wilson, Ina Ray Hutton, Eddy Duchin, and many others.